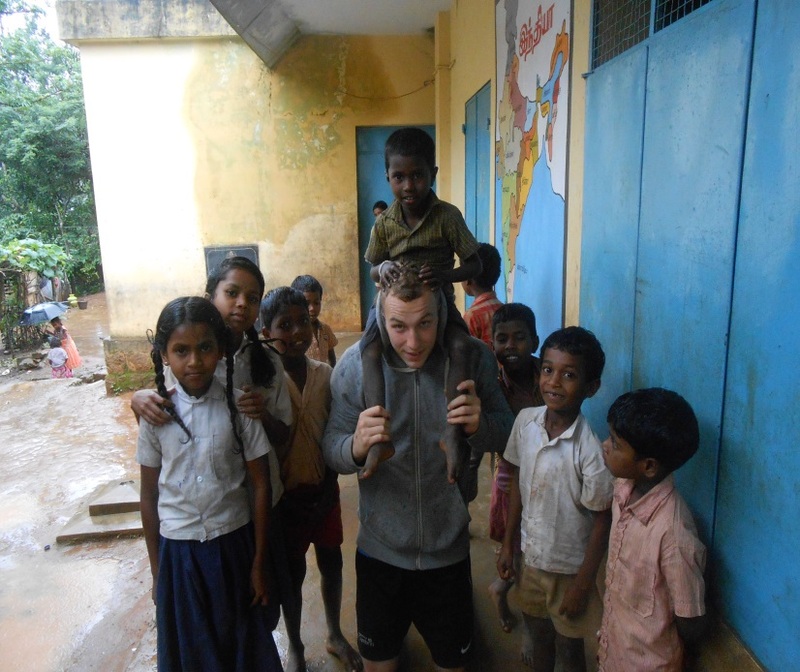 This summer I went to southern India with Raleigh International, they are a sustainable development charity and have been operating for over 30 years in various countries around the world. The village which I was assigned to work in was Karkupally which is located high in the Nilgiri mountain’s in the state of Tamil Nadu. This is where a tribe known as the Paniyan’s had lived for century’s, within a rainforest. The Paniyan tribe originate from African decent and arrived in India as slaves. The Indian government do have an organisation known as CTRD (centre for tribal and rural development), which Raleigh International work in partnership with. Upon arriving to the village it was apparent that the Paniyan people were in desperate need of help as they were lacking in adequate housing, no access to sanitation facilities, no general knowledge of hygiene and no available medical treatment. The village consisted of 23 houses, which were mostly in a poor state with many walls on the verge of collapsing, due to the poor build quality of previous Indian government initiatives. One house within the village had also previously completely collapsed meaning a family had been living in a shelter built from plastic covers and wood from the forest, we were informed this was due to a mudslide 6 months before we had arrived. This was a particular problem as it was monsoon season meaning this house was not sheltering this particular family from the rain; however some of stone built houses were also leaking. The village also in places had a strong smell of excrement around the village and it was obvious from the children right through to the older generation toilet facilities were not looked at as a priority, meaning open defecation was seen as normal among the Paniyan tribe. This was highlighted upon arriving to find two primary school toilets which were within the village using two perfectly functioning toilets for storing wood, while the children weeded upon the path above the school. The people also used a traditional method to clean their teeth as they used charcoal and a finger, which caused obvious problems for the villager’s teeth. The school children had no knowledge of washing hands and the benefits of doing so. The villagers in general had little knowledge on cooking hygiene, diseases passed from insects and also the ventilation problems from smoke when cooking inside their homes. Lack of medical attention the villagers was easily visible as many children and adults were seen throwing up on several occasions, showing obvious signs of sickness and diarrhoea. Problems with teeth were seen with most people in the village. One boy had broken his leg before we had arrived however lacked the money to see a doctor and was treated by a local man and now is unable to walk properly meaning he has a sever limp. The villagers also struggle to get a nourished diet meaning many suffer from diseases related to deficiencies in vitamins and minerals, which then go on to cause greater problems with no access to medical attention. 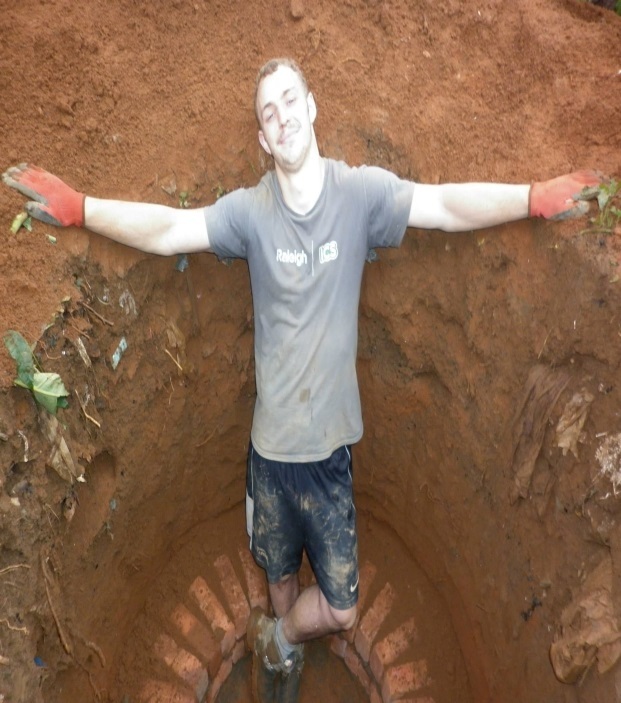 During my time in India our team built 16 leech pit toilets, meaning most houses now have access to their own toilet providing proper sanitation for 6 years and everyone has access to a toilet however some of the houses with smaller populations now co-own a toilet. The toilets were also built alongside frequent education on the benefit of using toilets as opposed to open defecation. A committee was also set up to safeguard the maintenance and proper use of the toilets once we left. The school toilets as mentioned earlier were used once again for their proper purpose within the first week of arriving and the school teachers assured us this would be the case once we left. A tooth brush club was set up where the children at the school were all given a free toothbrush and toothpaste. The club ran every morning before school to get the children used to brushing their teeth in the morning and hopefully carry on once we left. We were assured that toothpaste would also be sold at an affordable price at a close small shop for the villagers. In the village a well area where the village gathered water from was very badly maintained and was a boggy mess around the well walls, with foliage overgrown. This meant the village suffered from a lot of leech bites. This area was concreted and made so that the villagers would not be affected by leech bites in the future. During our stay to deal with the medical problems three medical camps were organised by us and doctors from the nearest hospital came to prescribe medicine and examine the villagers. During this one boy had picked up a nasty infection from the dirty water from the water where the boys went to the toilet on the path above the school, this was then treated during the last two medical camps. Many villagers were also treated for diarrhoea and other ailments during these medical camps. One lasting benefit was blood tests to determine the villagers blood types were taken; this was done as in India to use local medical facilities blood type knowledge was needed and to get this taken was not affordable for the villagers. The money received from the Eleanor Peel trust was a tremendous help not only to me in raising the funds to go on the expedition but also to the Paniyan tribe in helping improve their living standards. I would personally like to thank the Eleanor Peel trust and also would like to say thanks on behalf of the Panyian people, as the money has helped develop their village for the better.